RedSDK vs. NVidia Card Drivers . . . I searched and found a couple of similar threads, but they were not quite like this and they were not clearly resolved. 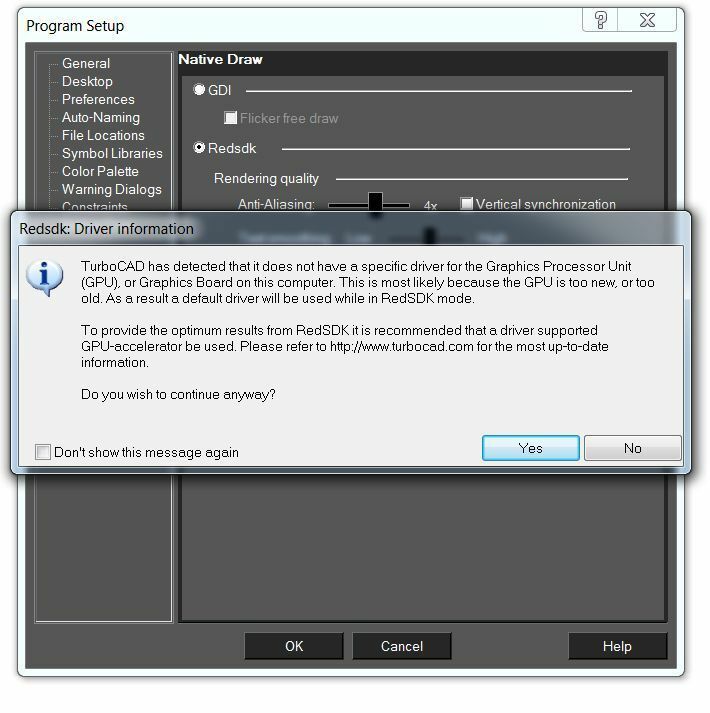 I had gotten used to the RedSDK warning that would pop up every time, suggesting I should upgrade my NVidia Drivers to a two year old version!?!? I happily checked the box that said, don't show me this again, you dumbass computer! That was when I was using my Gigabyte GEForce GTX 570. Recently the 570 did what any $300+ computer component does after two or three years, It committed suicide, taking out several pieces of software as it went. So now I am riding an MSI GEForce GTX 960. As I am a gamer of sorts, I use NVidia's GEForce Experience to automatically download their latest Drivers, including BETAs. I like the vagaries of their diagnosis; it is most likely because it is too new, but then again, it just might be too old. "The Airport? That's easy you just go North for two miles, but maybe you should go South . . ."
Now I get nothing when I try to render, either in RedSDK or GDI. Well, I got nothing after half an hour of watching the little blue wheel spin and spin, around and around, my comp wasn't even winding up like they do when rendering. Yeah, that's 7.3, and 7.9 on graphics. And if I open the Native Draw Dialog Box and click on the "Show Video System Info" button, NOTHING happens. This is like when you go to open a file and the computer says you don't have permissions to open that file, WTF!?!? "You're a Fricking Machine, and this is my computer, I can open anything I want!!!" The App is telling me I don't have the proper drivers and suggesting I should have a Driver supported GPU Accelerator, afggggh. Psst, RedSDK, turn around, it's behind you . . . There should be a browse button where I could direct old Redski to the location of the Driver. 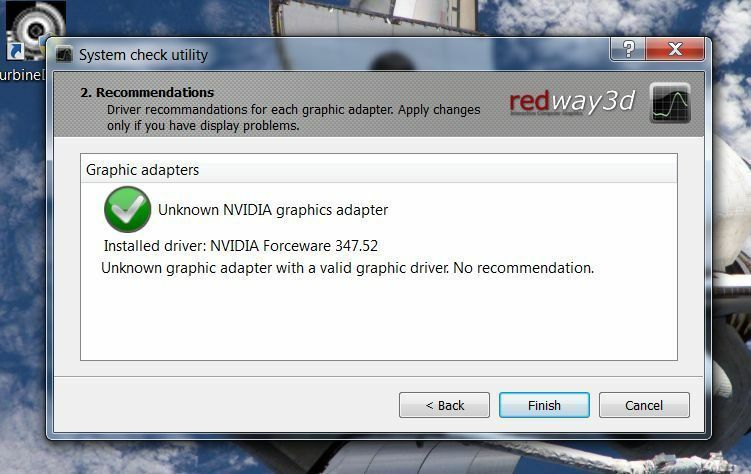 Okay, the GTX 960 is not yet on RedSDK's supported list, and the latest GEForce Driver Redway lists is 344.11, which I am at this moment downloading from NVidia. I had to tell their download page I had the 980, because they do not offer anything older than 347.25 for the 960. Here's why, the 344.11 installer, from September of last year, does not recognize the 960. I didn't realize it was that new. Why does this effect the GDI performance? I have emailed Redway . . . in France . . . telling them my problem, and wondering when, if ever, they will support this card, and when they will catch up with Nvidia's driver a month program. The system check utility provided with Redway's TurbineDemo from 2009 recommends the 344.11 driver, while displaying the higher-numbered driver I am using. Be that as it may, the two demos on their site are, in a word, awesome (or, more accurately, they make my system seem awesome). Apparently the Driver is acceptable . . . they just can't ID the card. So in game they can ID the card, but not the chipset. Except, when I open TC, I am still getting this every time . . .
Errrrrgh . . . Can we get on the same page??? And my GDI renderings are taking forever. I can not render in Advanced at all, or I can't wait as long as it seems to be taking. 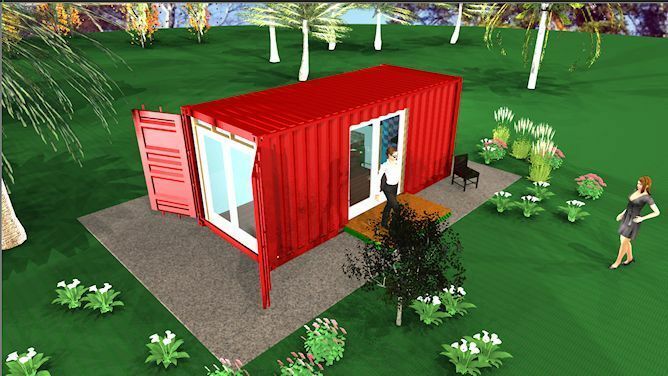 Oh, I'm working with a fellow creating Off the Grid Mini Homes. Quote from: Johan REUTER REDWAY3D S.A.S. driver ONLY if you experience some graphic issues or bugs. Which I understand . . . I think I can figure this out. 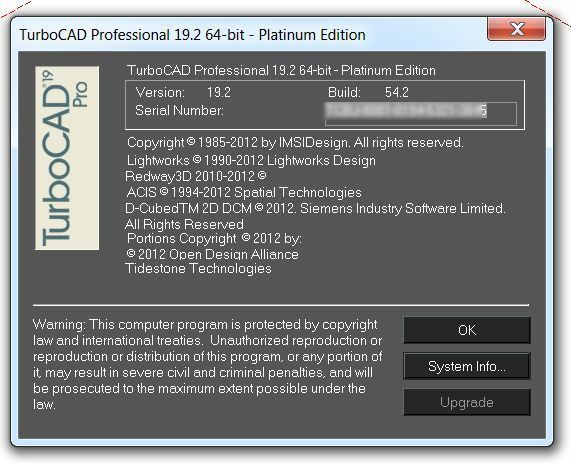 The Redsdk feature of TurboCAD Pro was updated in version 20 and v21 and again in Pro (and now Deluxe) 2015. Have you tried the trial version of TurboCAD 2015 Pro to see if it works (better)? As stated the warning means that REDSDK does not recognize the driver. It really makes no difference. Unless you are running into display problems it is best to use the latest driver available from the manufacturer of the video card. Still, I'm not fully convinced based on McSlash's experience of slow renderings. TurboCAD could be more specific on what it means it means with "does not have a specific driver" and "a default driver will be used". To me, not understanding the details, it sounds like no GPU acceleration will be used for rendering and the graphics card will just be used to show the picture on the display given the same performance as a really low end graphics card. If it really makes no difference as both RedWay and IMSIDesign says, what's the point of showing the warning at all? The message is indeed causing confusion and will be removed from future versions of TurboCAD. There is no performance difference. Just some drivers are recognized by the REDSDK engine and some are not. So I probably should stop worrying and just get the GTX 960. I could be corrected on this but RedSDK (Confirmed from Redway - see response from Redway Support below) and Lightworks use the CPU more for quality rendering. GPU comes more into play with display feedback, wireframe, hidden line and draft render modes. You could download a small app to monitor performance of your GPU when rendering etc. Redway Support - "during high quality global illumination rendering, the GPU is not used (except for the display feedback and some post-processing stuff). Most is done on the CPU which explains why the GPU load is not that big." I agree and confirm what Darrel said. Recently I was rendering RED stuff, Global Ill. Standard. The render took 52 minutes. I was thinking maybe it's time to upgrade from 660 to a newer graphics card such as the 970. But when I monitored the CPU and GPU during rendering, all cores of the CPU were at 100%, whereas the GPU never got above 40%. So I don't think an upgrade at this time will be worth it. I'll stay with my 660. It may be better to invest in a better processor, like the i7-5xxx series. These have 6 physical cores, plus hyper threading which gives you 12 cores when rendering in quality mode. I'll also point out that it helps to give TCAD high priority so that more computing time is given to TC. Just set TC affinity to all cores -1 so that other stuff can still go on while rendering. re: â€¦You could download a small app to monitor performance of your GPU when rendering etc. I tried out the recommended app and got some interesting results between RedSDK and LightWorks. RedSDK did use the GPU during a render whereas LightWorks sent everything through the CPU. It would be nice to compare LightWorks IRay against Redway3D's RedSDK; as they both use the graphics card. How I see things and after testing is that GPU is being used updating what we see in the screen as it renders in RedSDK as pixels are updating hence the 35% in the raytrace phase. Maybe the GPU-Z software is not fast enough to see the initial spike when we invoke the first hidden line view or draft render. My machine blips 10% on a single camera view change. I gave it a try with the sensor set to 0.1 seconds. It does get up there at times when I'm using the dynamic tools to move around. When I turn on the fourth level, it just bogs down from too many objects, so zooming & moving take me where I don't want to go. Fun-n-games. I gather that there is a limitation as to the amount of 3D objects that can be displayed. Does TC see Level 3 as 400 Block objects or 8,000 chamfered boxes? Level 4 (the yellow layer) brings the total up to 8,000 Blocks (160,000 chamfered boxes). I have the same issue as McSlash, I've got the Nvidia GTX 960 card, TCW 2015 Platinum and Win 10. Has Redsdk updated their drivers for this graphics card? 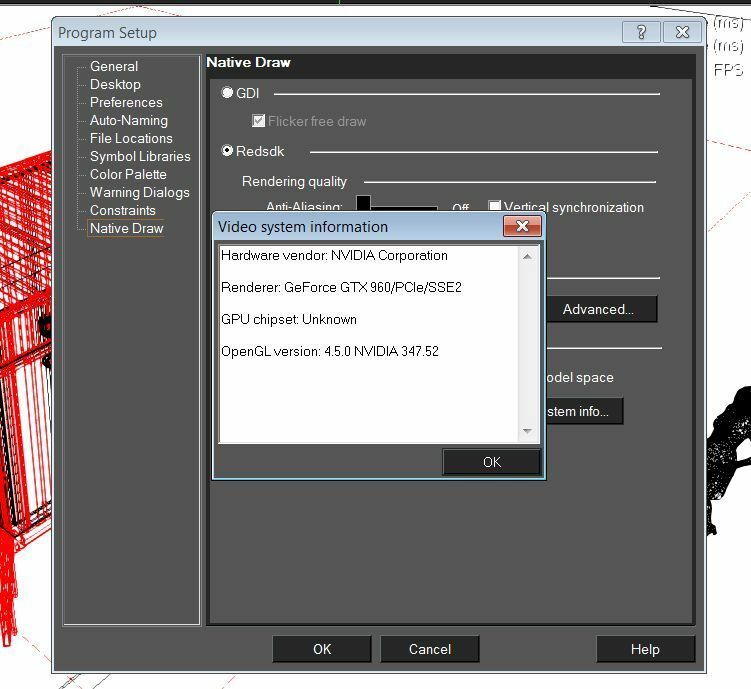 Check that TurboCAD is using GPU graphics in the NVidia Control Panel. I am about to upgrade my current graphics card and am standing between the Quadro K620 and the GeForce GTX 960. After reading this post I was getting worried that TurboCAD would not be able to get the full potential of the GTX 960. I found an article on Tom's Hardware that showed then-current GTX-series cards outperforming Quadros on the AutoCAD tests (http://www.tomshardware.com/reviews/best-workstation-graphics-card,3493-5.html) while the Quadro was on top for SolidWorks tests (no GTX cards are even on the list of the top 14 for any of 3 tests). I have tried to get more TurboCAD-specific information, but IMSI didn't tell me whether the Quadro or GTX-series cards are better and almost no one has contributed to the Benchmark tests that Majo started in 2014 (http://forums.turbocad.com/index.php/topic,8615.msg94205.html). Only one poster in this forum claims a Quadro card (the K2000 or K2200, as I recall) and states that he is very happy with it (I just wish he'd post in the benchmark thread). I'm inclined to believe that the GTX-series cards are better for TurboCAD because the demos that I downloaded from RedWay make my system seem awesome. Also, the iRay render tests (shares a lot with RedSDK) lean GTX, too.